Passengers on the Amtrak Pacific Surfliner will start seeing new locomotives this fall. 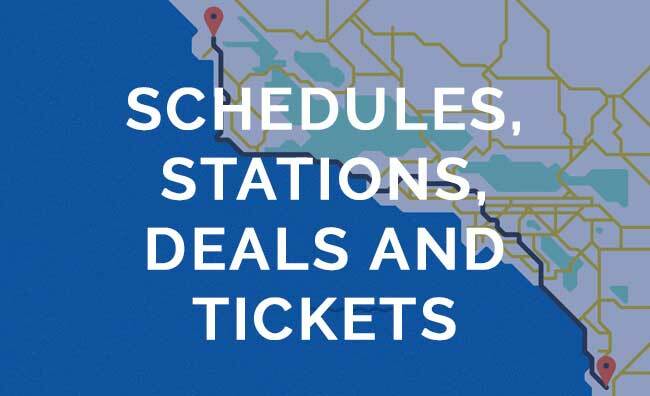 A total of 14 Charger locomotives will power the next generation of Pacific Surfliner trains, offering cleaner, greener and more reliable service to nearly 3 million passengers per year between San Diego, Los Angeles and San Luis Obispo. The new locomotives, which were manufactured by Siemens in their solar-powered plant in Sacramento, were funded by Caltrans with approximately $100 million in state, federal and local funds. They will replace Amtrak-owned F-59 locomotives, which are nearly 20 years old. The Chargers will be undergoing a required testing through October and November 2018, and will be phased into regular service following successful conclusion of that process. Keep an eye out for them next time you take the train! Here’s a behind-the-scenes look at the new locomotives. This is the cab of the locomotive, where the engineer sits to operate the train. The locomotive offers significant advantages, including improved performance and reliability, a smoother ride, and lower fuel usage. Each Charger locomotive is powered by a 4,400 horsepower Cummins diesel engine built in Seymour, Indiana. The 16-cylinder engine is fuel-efficient and has the potential to use renewable diesel. It can also power longer trains, which will support growing ridership demand. The Charger locomotives include crash energy management components such as a reinforced locomotive cab and push-back couplers. Each locomotive weighs 267,000 pounds, and is nearly 15 feet tall! The Charger is the first passenger locomotive to receive the stringent Tier IV emissions certification from the Environmental Protection Agency, making the Charger one of the cleanest diesel-electric passenger locomotives currently in operation. In fact, they will reduce emissions by 90% over the current Pacific Surfliner locomotives!